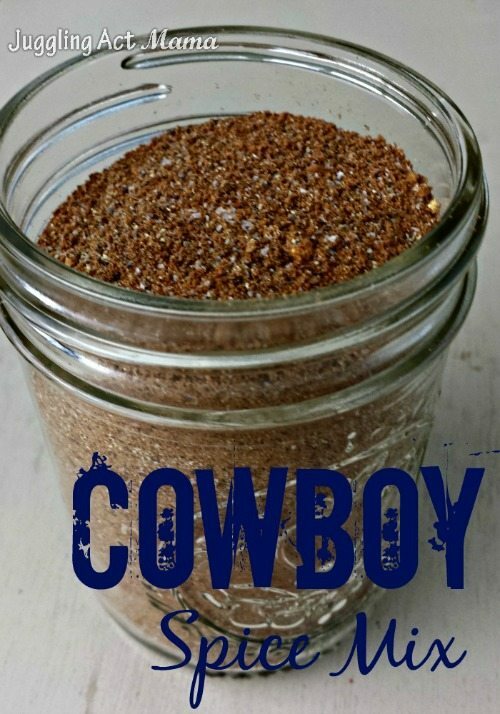 Incredibly versatile Cowboy Steak Rub Recipe that can be used on almost anything. I created a cowboy steak rub recipe mix that you will not believe. It’s a delicious steak rub that combines sweet, smoky and spicy flavors with a hint of coffee – yep, it totally has coffee in it! And, it’s so tasty! Mr. Juggling Act and the kids love a good grilled steak! And who can blame them? I created a dry rub that they all agree make the steaks taste bold, sweet and smoky. There is just enough acid from the coffee to break down the steak and help it be a bit more tender. 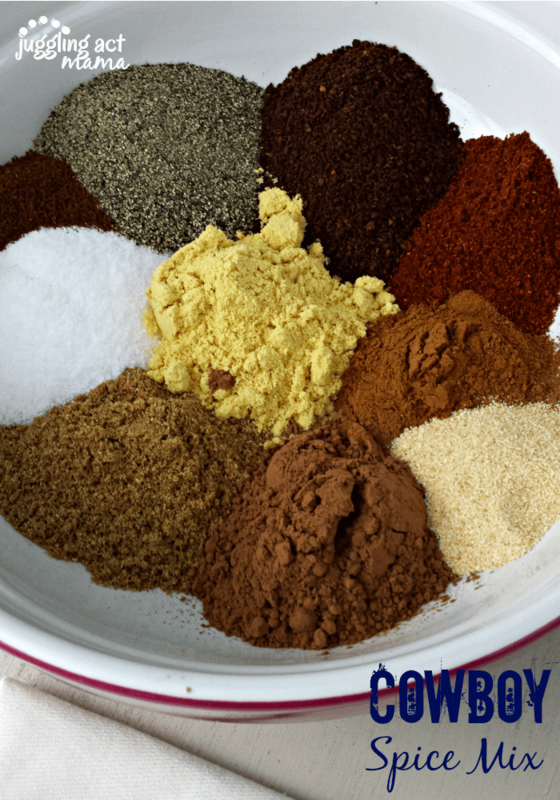 I created this rub one day when I was putting together all my favorite spices. The Paprika adds a smoky undertone, the Cumin, Cayenne Pepper, and Chili Powder add the kick. Then added some brown sugar because when it cooks on the steak it caramelizes. You can add less sugar if you are trying to cut down. Then I discovered that the Coriander and Mustard round out the rub with brighter flavors. The only spice I didn’t add that I thought about adding later, is garlic. But with all the other spices I didn’t think it needed the garlic. You can try putting some garlic powder in and see what you think. This spice mix makes are really wonderful housewarming gift or stocking stuffer – and it will soon become a pantry staple for you! Mr. Juggling Act loves using this on top round steaks before grilling them – so good! Why is Coffee Good on Steak? Some people have been known to soak their steak in coffee before grilling it. This makes the steak more tender and gives it a deeper flavor profile. The coffee grounds in my rub are another option if you don’t want to soak your steak. Coffee is acidic. It is those acidic tones that pair well with the savory notes of red meat. You’ll be cooking up a storm with this Cowboy Steak Rub. I have 5 simple weeknight meals in my cookbook, and you can get it for free! Just request the cookbook and it will be emailed to you, easy! For this rub recipe, you’ll need just a handful of spices. And I bet you have most of them on hand already. I make the Cowboy Steak Rub in big batches and package it in small jars for friends and family during the holidays especially. Last month when I was out in CA to visit my sister for her bridal shower, she told me how my she and my now brother-in-law were enjoying this mixture. But it was almost gone and she needed the recipe ASAP to make more! I’m thrilled to share my favorite steak rub recipe. Once you try it, it will become your favorite too. The perfect rub! It's a little sweet, a little spicy and tastes amazing on steak! Definitely make enough to give as gifts. Once your friends and family taste this rub they will want some for their own pantry! Just because it is steak rub doesn’t mean you have to only use it on steak. This rub tastes amazing on grilled chicken breasts, chicken wings, and pork chops. Try rubbing pork loin with the homemade rub and add a little bit of water to a slow cooker for the most amazing dinner. 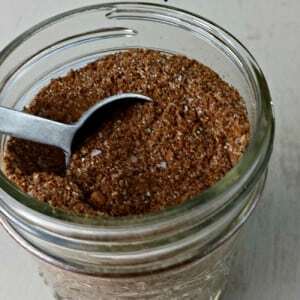 Beyond using this rub on meats, you can also use this spice mix with some lemon juice and olive oil for a flavorful marinade or salad dressing. You can also choose to remove the brown sugar for a keto-friendly rub! You might also like these other homemade mixes! Here are more homemade rubs and marinades for your next meal. 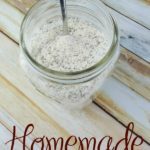 Homemade Turkey Rub Recipe – Savory Experiments – This is a simple recipe with ingredients that are easy to remember. Save it for eating Turkey all year round. 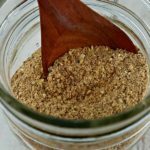 Homemade Mustard Dry Rub Recipe – Thrifty Jinxy – The parsley in this dry rub gives it pops of color and a sweet flavor. Carne Asada Marinade – This Mama Cooks – The cloves and cilantro make this marinade stand out from among the rest. This is great! I’ve never heard of this fun little steak rub before but I love the idea of adding a hint of coffee! Brilliant! Thanks Sami! I hope you get the chance to try it soon! I tried this and it was really good. I’m glad I clicked over to get the recipe! The flavor is so good! Glad you liked it John! Thanks for taking the time to come back and let me know what you thought! I click on the CLICK OVER HERE TO GET THE RECIPE AND A IT DOES IT TAKE ME TO ANOTHER PICTURE OF THE CLICK OVER HERE PIC. Sure would like to have this recipe!! A friend of ours swears by a rub for fish that has coffee in it – love seeing it in this rub. Can’t wait to try this!